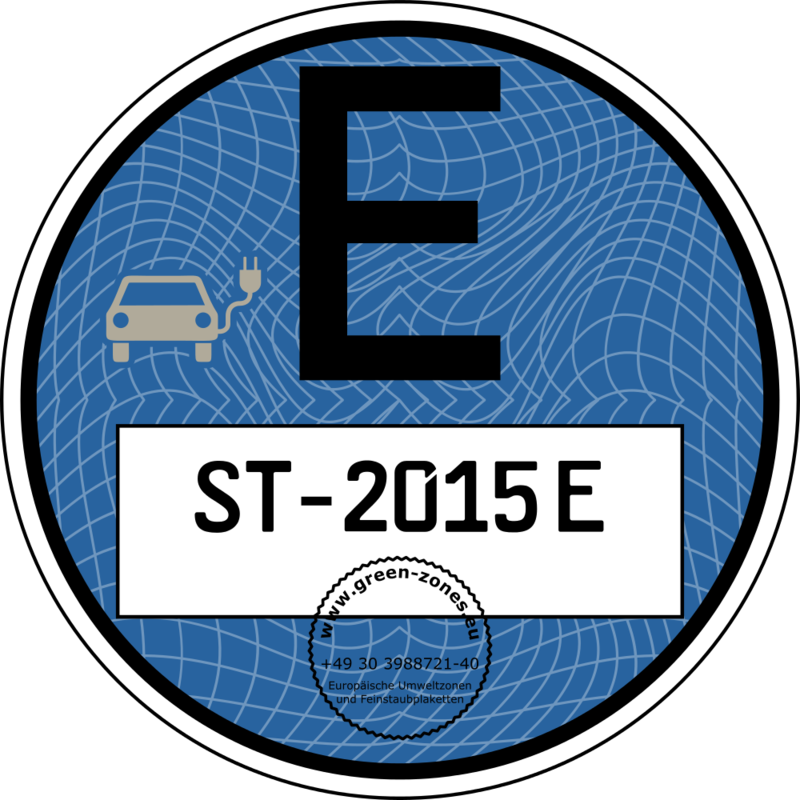 As soon as the electric vehicle fulfils all preconditions (which mean not being registered in Germany, for example) and all documents are available, the way is free to buy an E-Badge. Green-Zones provides the buyer with the E-Badge by submitting a manual application to a German authority. An appointment has to be claimed prior to the application. Such a process is time-consuming and expensive. It normally lasts 10 days at least until receipt of the Badge. The German law prescribes, by the way, that the German environmental badge must always be fixed together with the E-Badge, as soon as the vehicle intends to enter a German environmental zone. Clear rules define the affixing of the E-Badge. The German environmental badge is to be fixed at the windscreen, the E-Badge at the rear window. Order immediately? Way to the shop for the German E-Badge here. Attention: An order for a German E-Badge is exclusively possible for vehicles not being registered in Germany.